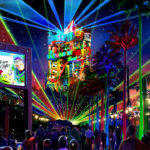 This week, Disney announced that the popular After Hours events will now be offered at Animal Kingdom and Hollywood Studios. 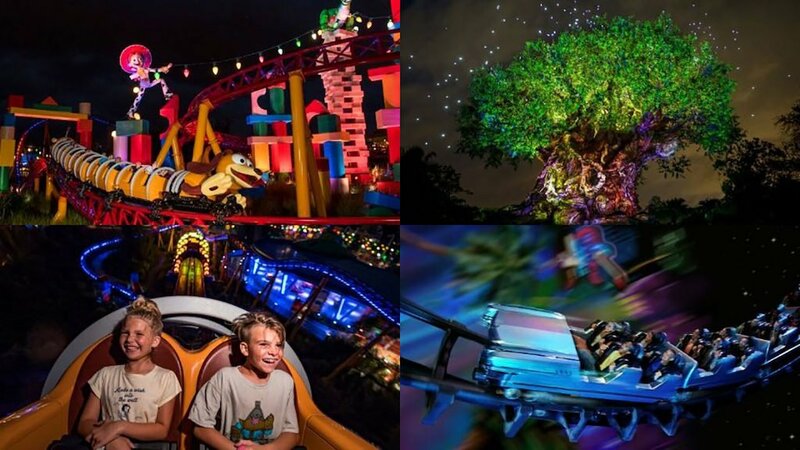 For $125 per person, guests can enjoy a number of select attractions and rides throughout the Park after it closes. The fun begins in December and will be offered on various nights throughout April. 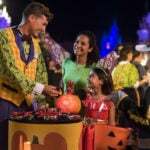 Tickets go on sale on November 14th and DVC member and Annual Passholders can reserve their spots at a discount rate of $95 per person. 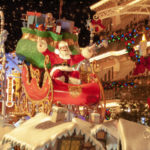 Disneyland Resort has transformed for winter and a festive takeover has arrived. From Christmas trees, and colorful garlands, to holiday popcorn buckets and parade featuring Santa Claus, guests are in a real treat this winter. Along with decorations and fun merchandise, Disney California Adventure’s Festival of the Holidays began this week. Guests can indulge in culinary treats at holiday kitchens throughout the park, meet beloved characters, enjoy lively entertainment and more! Folks, we’re just a few days away from Mickey’s 90th birthday and this week the highly anticipated New York City exhibition held its grand opening. This brilliant collection of artwork was curated by Darren Romanelli and is just as amazing and enjoyable as we’ve been led to believe. The beloved icon is celebrated through a variety of mediums that express all types of his personality. If you grew up with Mickey, then your inner child will love this joyful exhibit. 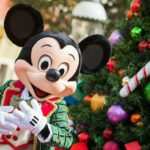 The holidays have arrived at Walt Disney World! On Thursday night, the first Christmas Party of the season was held at Magic Kingdom and we were there to experience it! From the incredible sight of snow on Main Street, to an even more impressive parade, this wintry celebration will warm your heart. Tickets are still available for select nights, now through December. On Thursday evening, Bob Iger hosted the quarterly earnings call with Disney shareholders. During the meeting, he reported on the Company’s current financial position as well as what was happening with the 21st Century Fox merger. 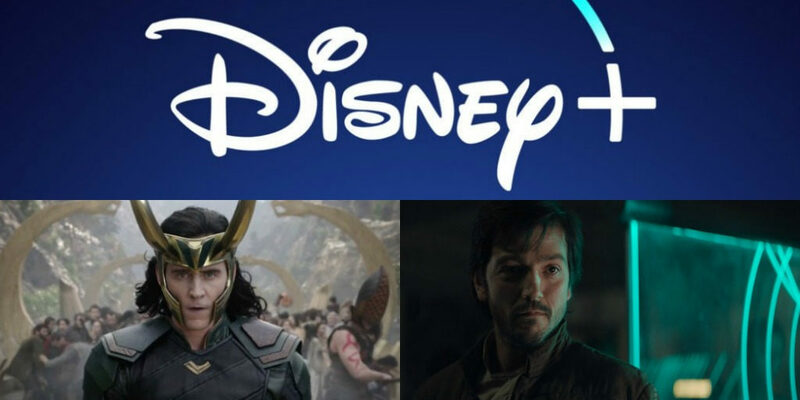 Additionally, Iger announced that Disney’s streaming service is still on track for a late 2019 launch and that it will be called Disney+. But that’s not all! Star Wars fans were in for a treat with the announcement of a live-action series leading up to the events of Rogue One that will star Diego Luna. Finally, Iger confirmed a Loki series is happening and will star the one and only Tom Hiddleston as the god of Mischief. Disney x Hunter The Original Collection debuts Mary Poppins Returns inspired outerwear. Know for their smartly designed boots and bags, Hunter is presenting a new style of their classics featuring a Mary Poppins camo print. Available in kids and adult sizes, you’ll love these new looks! #ShareYourEars walls go up around Walt Disney World. For just a few more days, fans are encouraged to pose for and share pictures with their Mickey ears. Disney is donating $5 to Make-A-Wish (up to $2 million) for every public picture using the hashtag #ShareYourEars. Are Disney treats overrated? Doobie loves Disney but thinks some of the “must have” treats are just a little bit overrated. Dole Whip, Tonga Toast, Churros??? Find out what’s on his list and see if you agree! ESPN’s Around the Horn debuts with new format. The popular afternoon show began airing this week in a new studio where much of the broadcast will include augmented reality (AR). The AR format allows for more fun and interactive content and ATH is the first show in the US to incorporate the technology into the entire broadcast. Disney’s Hollywood Studios new parking plaza is now open. DHS’ expanding parking plaza opened this week. Join us for a look at how to access the park from its new main entry.